Predatory journals endanger the credibility of science, the African Investigative Journalism Conference has been told, and journalists should investigate the issue. About 400 000 scientists worldwide have used fake academic journals to publish their scientific material, according to investigative journalist Katrin Langhans of the Süddeutsche Zeitung. Langhans explained how she and a large team of journalists exposed predatory scientific journals. 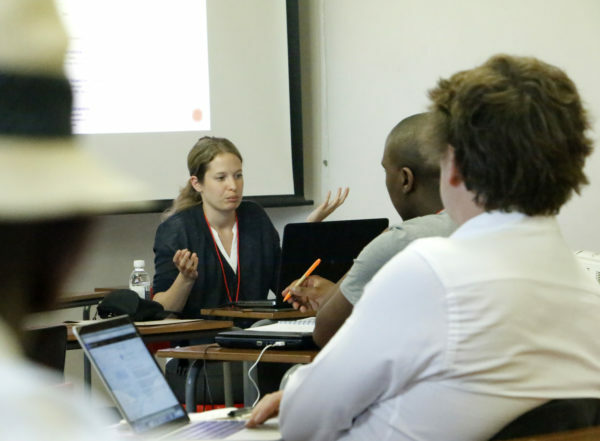 She was speaking at the African Investigative Journalism Conference (AIJC) held at Wits University on October 29. Langhans told the attendees that over 5 000 scientists have used predatory journals in the last five years in Germany. Langhans explained what predatory scientific journals are. “They are an exploitative academic publishing business model that involves publication fees to authors without giving editorial services associated with legitimate journals,” she said. The major difference between predatory academic journals and legitimate journals is that predatory journals do not have a proper peer review process but rather make superficial changes. Langhans was part of a team of journalists from various countries, including Germany, India and Austria, who worked for nine months to expose the truth about these predatory journals. These predatory journals host dubious conferences that academics pay to attend which can have a negative effect on the university sponsoring the academic. “This possibly endangers the credibility of science at an academic level,” Langhans said. Commenting on the session, Ben de Pear, editor from Channel 4 News in the United Kingdom, spoke about the need for pseudo scientific journals to be investigated thoroughly. De Pear called the lecture “informative, engaging and eye opening”. Vaughan Maurel, one of the attendees, felt that the issue was very complex and had gone unnoticed for years. He said South African universities should try and avoid being duped or exploited by pseudo-scientific journals. Langhans gave her audience advice on how to investigate fake science journals, emphasising the need to check the content of academic articles and conducting additional research on a topic. She concluded by saying that the problem of pseudo-science needs to be probed even further.